The new school complex on the land that was given by one of the community members. Handing over the projector and laptop to the head of the school. With all the children and now including Pim. School posters, pencils and balls for the primary school in the little village of Thulodunga. From this time we decided to support the school as the old principal of the school in Solagar, that we respected very much for his efforts, got transferred to the school in Thulodunga. 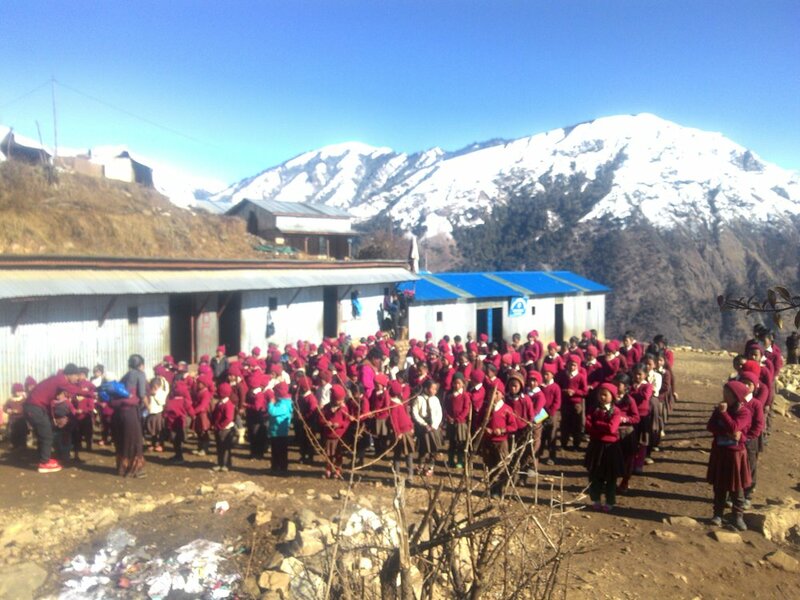 The school complex of the village Solagar in Okhaldunga district.